You’ve probably gotten more than one prank call asking if your refrigerator is running, but rather than trying to catch it, you might actually want to check to see if it’s working properly. 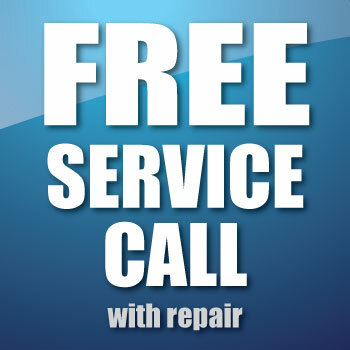 The cost of an average appliance repair in 2014 was between $254 and $275, depending on the repairs needed. Whether you like it or not, appliances break. The most important thing you can do is know how to spot the signs before anything catastrophic happens to your kitchen, bathroom, or laundry room. So, is your refrigerator running? Ever notice a sheet of ice in your refrigerator? If so, your fridge is probably suffering from a clogged defrost drain. This can happen for any number of reasons, but it’s going to keep your fridge from running properly. If you notice sheets of ice in your freezer or water collecting on the floor, make sure you call for refrigerator repairs as soon as possible. A dishwasher has a mechanism at the bottom that allows it to know when the water level has reached a point where it can wash dishes. While it’s a handy little piece of technology, it can easily be jammed up by knives, forks, and spoons that accidentally make their way to the dishwasher base. In these cases, the dishwasher will think it’s already full up on water and won’t run. While the fix might be as simple as removing a piece of silverware, it’s important to call in for dishwasher repairs just in case. 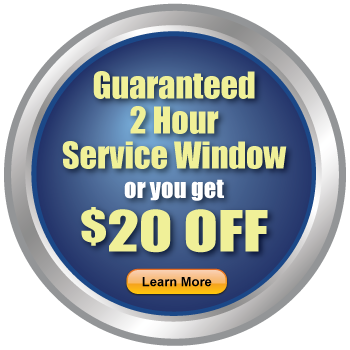 Gas dryers are quite common in households, and they all experience similar issues. One of the biggest issues in gas dryers is the safety coils breaking down. These coils are used to keep the dryer within a certain temperature range, and when they break down, that range can be compromised. This is one of the most common dryer repairs that homeowners pay for. 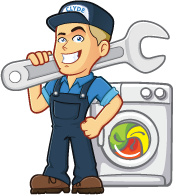 If you notice that your dryer isn’t working, you should call for dryer repairs immediately. 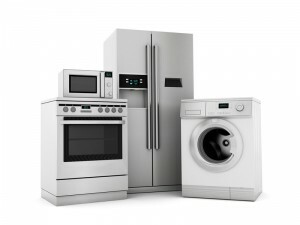 Don’t let your appliances get the best of you! Call Clyde the Appliance Guy at the first sign of a problem.